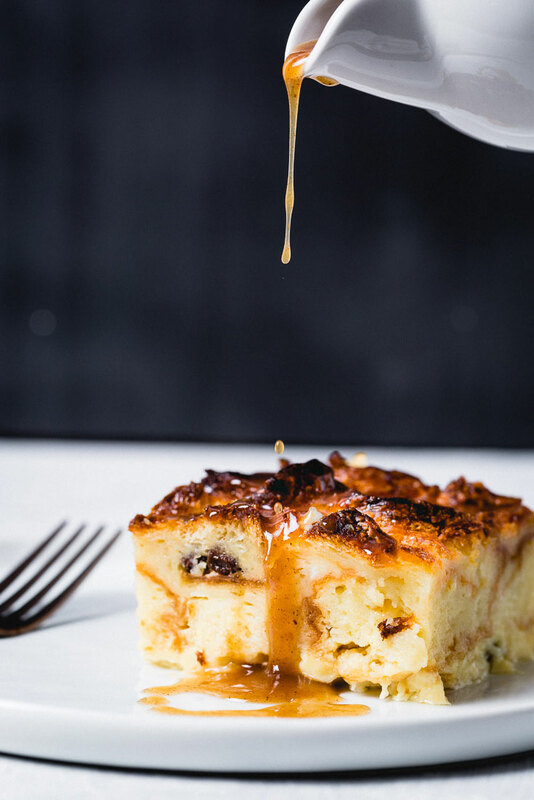 This is bread pudding perfection with bourbon soaked raisins and topped with a buttery bourbon sauce. Bread pudding is an amazing thing. It combines croissants with custard for a creamy light texture that is beyond luxurious. 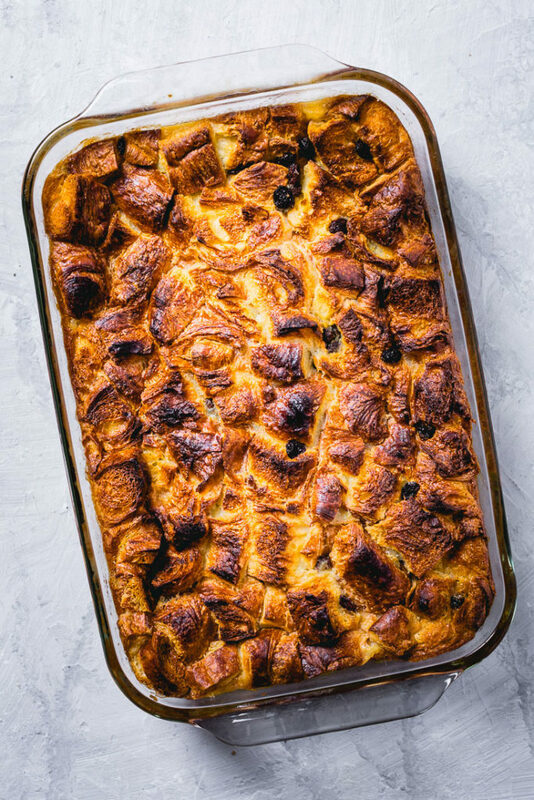 The best bread pudding that I’ve ever tasted (yep, it happens to be this recipe) uses croissants instead of brioche or other types of bread. 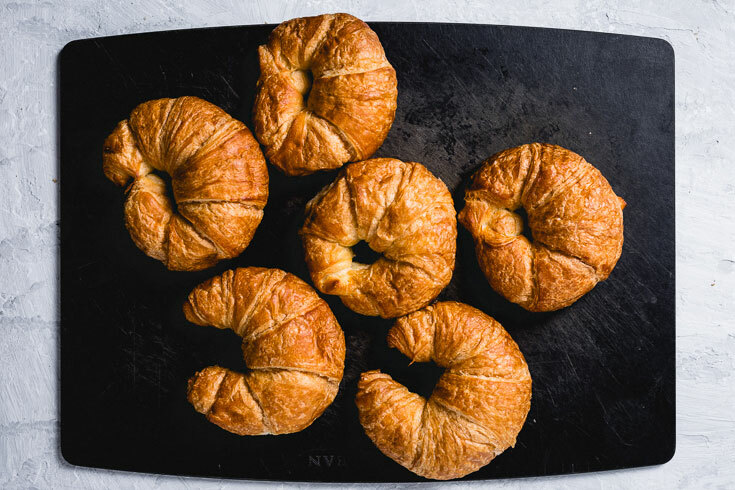 Croissants are the secret to a lighter texture. If you prefer dense bread pudding, you can use brioche. This is easily one of the more decadent desserts you will ever eat, and it happens to be great for breakfast too. 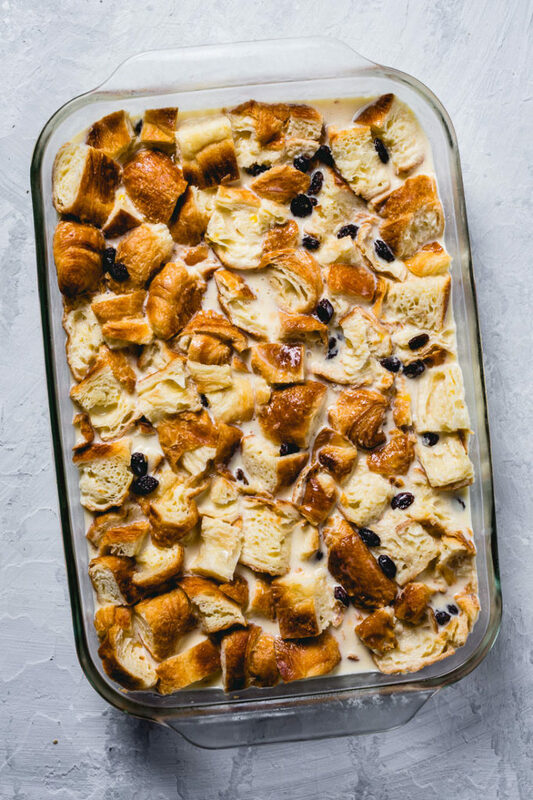 I can’t tell you how many times I’ve brought it to a party and people rave about how it is the best bread pudding they have ever had. 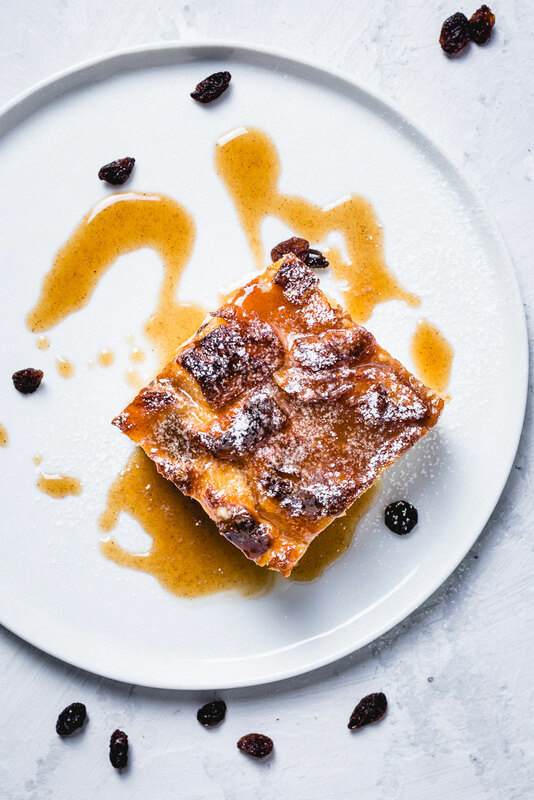 If you love creme brulee and french toast, you are going to love bread pudding even more. Croissants are already sort of a food group of their own, right?. You can literally plan an entire vacation around croissants and never get tired of trying different versions. Sure, they aren’t necessarily “healthy,” but they are so light how could they really be that bad? Adding bourbon soaked raisins gives the bread pudding some nice bright acidity which adds a lot to balance everything out. 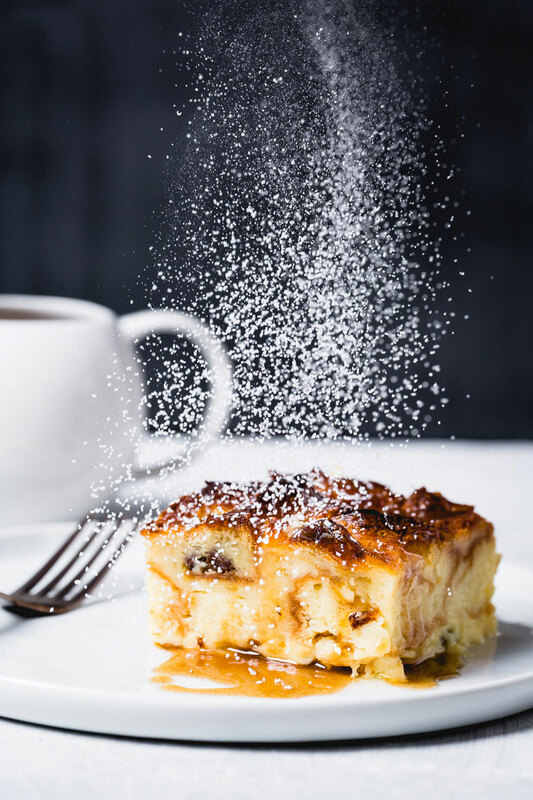 This croissant bread pudding has converted non-bread pudding eaters. The texture of bread pudding is the most important part. When dense bread is used, the texture is often the same from top to bottom. It can be dense and not crunchy on top. That’s not the case when you use croissants. The top of the bread pudding is crunchy and the inside is light and custardy. For dessert, breakfast or both? When I make it, it’s one of my favorite breakfasts. Combines croissants with french toast. 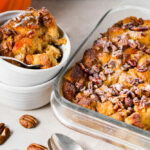 What are the ingredients in bread pudding? The ingredients are pretty basic and you just might have everything you need during the holidays: Croissants, eggs, heavy cream, milk, sugar, vanilla, raisins, and bourbon for soaking the raisins. The bourbon butter sauce is made of bourbon, brown sugar, butter, heavy cream and cinnamon. 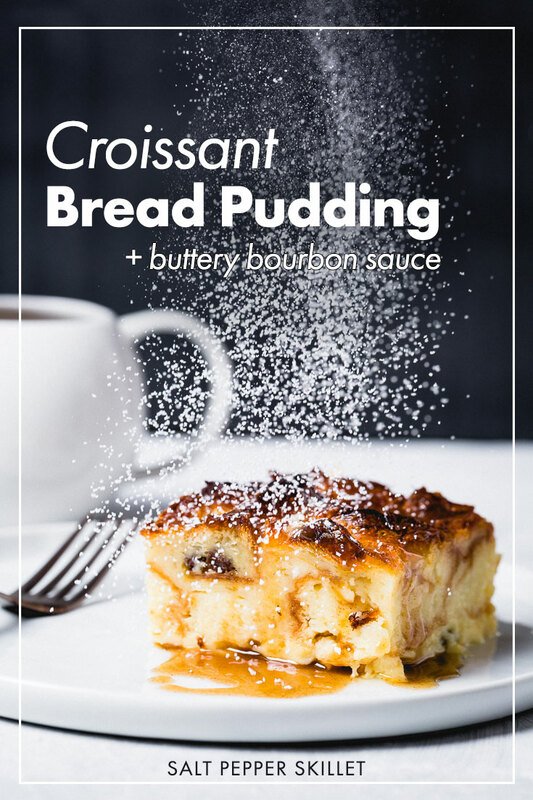 As wonderful as fancy croissants from the French bakery are; It’s all about the Costco croissants when making this bread pudding. They are super cheap ($5.99 a dozen) and you only need about 6 of them for this recipe. It’s key to dry out the croissants. And no, “stale” croissants are not the same as drying them in a low oven. When they are dried out, they will be much more like a sponge to soak up the luxurious custard. The concept of making bread pudding is quite simple. Add a custard to bread and bake it until it’s cooked through and golden on top. Start off with 1 pound of croissants. Cube them and dry them out in a low temp oven. Make the custard in a large bowl with the eggs, cream, milk, sugar and vanilla extract. Add the custard to the croissants and let it sit in the refrigerator for 2 hours to fully soak up the custard. Bake the bread pudding for about 1 hour, or until it is cooked through and the until the top is puffed up and golden. 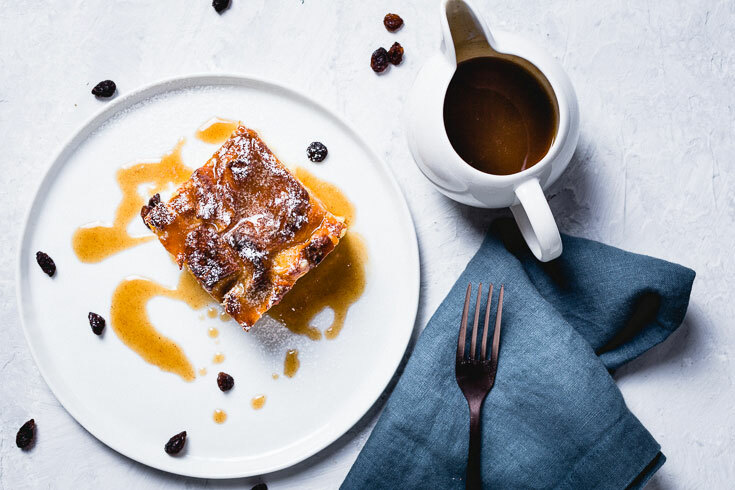 As good as bread pudding is on its own, there’s nothing kicking it up another notch (like Emeril would say) by smothering it with a sauce on top. There are a lot of sauces that work great. My absolute favorite is a bourbon butter sauce. Other sauces that pair wonderfully are a spiced rum sauce, vanilla butter sauce, crème anglaise or fruit purees. You can even top it with ice cream. 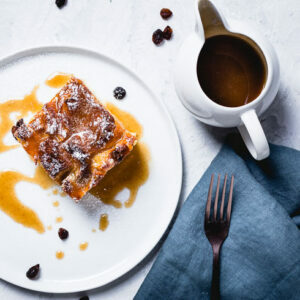 For this bread pudding, we’re pairing a delicious buttery bourbon sauce to drizzle over the top. 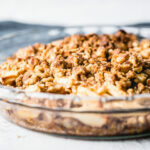 It’s made with dark brown sugar, butter, cream, bourbon and cinnamon to add some nice spice. The sauce can be made ahead and gently reheated when you are ready to serve it. One of great things about bread pudding is how easily it re-heats. Simply microwave individual portions on high for 30 to 45 seconds, or until it is warmed through. It’s best not to heat it up too much, so start with less time until you find the sweet spot. 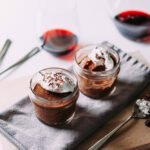 Can you add chocolate to this bread pudding? Yep. If you want to make this into chocolate croissant bread pudding, you can totally add chocolate chips or chunks on top before baking. I wouldn’t recommend using chocolate croissants because we dry out the croissants in the oven and the chocolate would melt before it is desired. Absolutely. After the bread pudding is baked and fully cooled, it can be frozen. I recommend cutting it into individual portions, wrapping them in parchment paper or plastic wrap, then freezing in ziplock bags. Wrapping individual portions in parchment paper will make it easy to remove the wrapper while keeping it fresh. 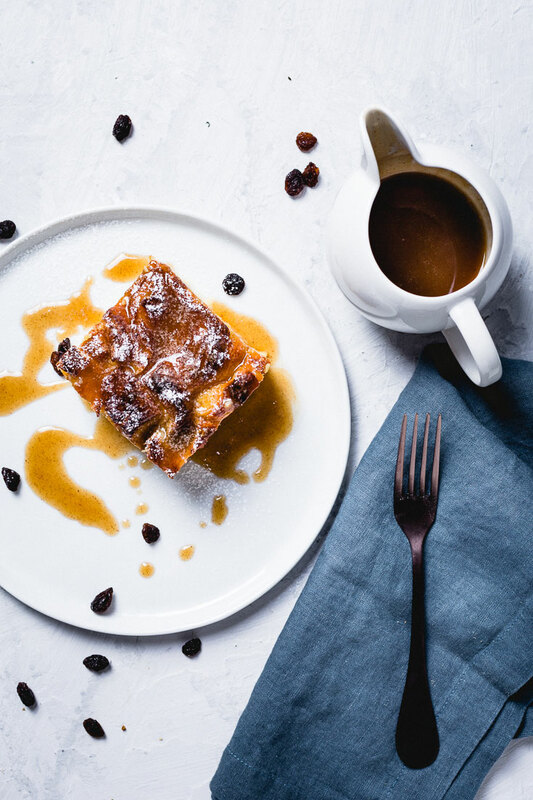 Bread pudding is best served warm, but it can also be eaten cold. It’s also a delicious treat to be enjoyed in the morning for breakfast with a cup of coffee. This recipe makes quite a few portions (about 12), which is perfect for parties or sharing with friends and neighbors. They will love you for it. If you don’t have croissants, you can use the same recipe with brioche bread. It will still be wonderful, but the texture will be much denser. Slice the croissants with a sharp serrated knife into 1” cubes. 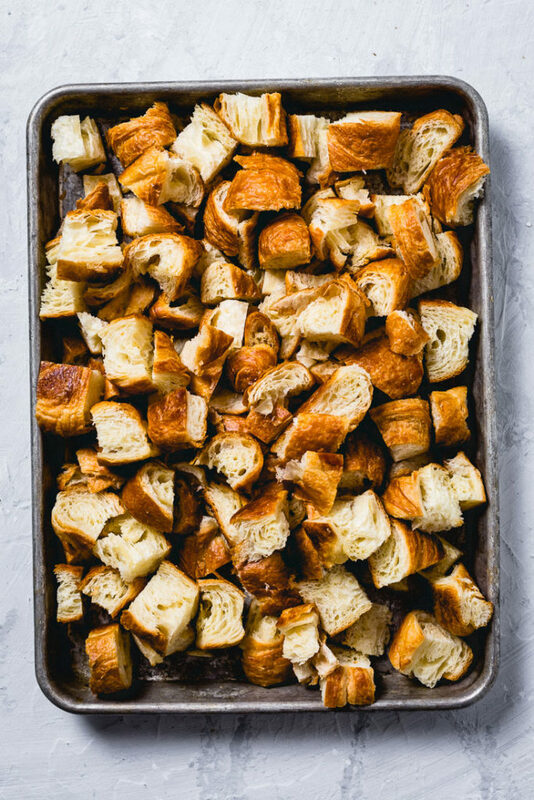 Place the croissant cubes onto a parchment-lined sheet pan and into a 225 degrees Fahrenheit oven until dried out, about 30-45 minutes. Cool slightly. While the croissants are in the oven, soak the raisins in bourbon. Whisk the eggs in a large bowl, then whisk in the milk, cream, sugar and vanilla extract until dissolved. Butter or spray a 13×9” baking dish, then place the cubed/dried croissants in the dish. Drain the raisins and place in the custard mixture, keeping the bourbon for the sauce. Add the raisins to the custard. Pour the custard into the croissants, mixing and pushing down with your hands to fully submerge all of the bread. Cover and refrigerate for 2 hours. Pre-heat oven to 350 degrees. Bake the bread pudding uncovered for about 40 to 50 minutes until the top is puffed up and golden. Server warm with the bourbon butter sauce. Combine butter and brown sugar in a heavy bottom sauce pan over medium heat. Stir until melted and smooth. Add bourbon and cook for 30 seconds before adding the cream and cinnamon. Bring to a simmer and cook for about 5 minutes, stirring frequently. keep warm or re-warm before serving. Raisins on top can burn, so try to push them down. Re-heat individual bread pudding portions in the microwave for 30 to 45 seconds. Rum can easily be substituted for bourbon in the sauce. I am a bread pudding connoisseur and this was honestly one of the best I’ve ever had. Using croissants is genius, and the bourbon sauce kicked it up another level. I ate way more of this than I’d like to admit :). So glad to hear that you loved it, Kerri! I always have way too much of it too. Breakfast, lunch and dinner. I’ve never like bread pudding, but it turns out, I’d just never had GOOD bread pudding. This recipe was delicious!